Not being a big race fan, I was going into this experience pretty much as a novice. Both a novice fan and a understanding. Having gotten free tickets for Friday from The Fan, I got to see the practice rounds that day. After the months of hype and prep, getting to the event at on day 1, I was underwhelmed (at first). I got into Baltimore around 9:30 am and start walking around the venue. I start walking down to the Budweiser party area 98 Rock still had their morning show going. Took some photos of the area and moved around the steel walkways into the main area. People were still setting up and come to find out, the race course wasn’t ready for racing, which was a real disappointment. The picture to the right was from around 11 am when they were still welding man hole covers shut. As well, they were still cleaning the course with the street sweeps up until at least 12:30 when they were supposed to have started. Practice was supposed to start around 8 or 9 and then got push to noon, and the was delayed to after 1:30 pm. After noon and the opening ceremonies, no updates were giving as far as time changes and I never heard anything as to the original delays when I got on site. Shortly before the street sweepers came by for the third time, workers will still securing the walls in place. One of the pieces of the metal wall even fell on one of the flag guys on the other side of the street. As the ceremonies got under way, I was disappointed to not see either Mayor Rawlings Blake or Governor O’Malley. The Lt. Governor was on site and gave a few words on behalf of the Governor and State, but with the city being on the national and international stage, I was very surprised, to say the least, that they weren’t there. with all that being said, once racing started, no one was worried about how they got their and just enjoyed the race. the first lap there was a minor crash right at grandstand 6 where I was sitting. 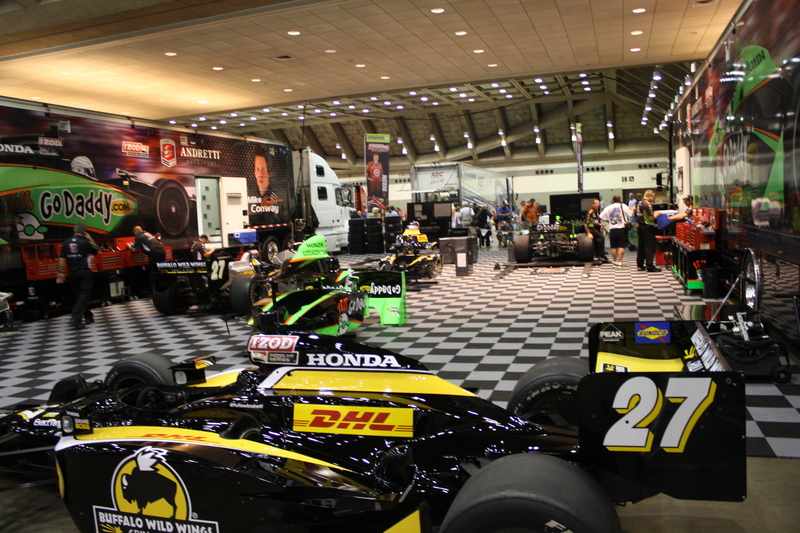 After the first practice race, I shifted locations and moved up closer to the convention center. After that, I walked up through the Paddocks and Camden Yards. 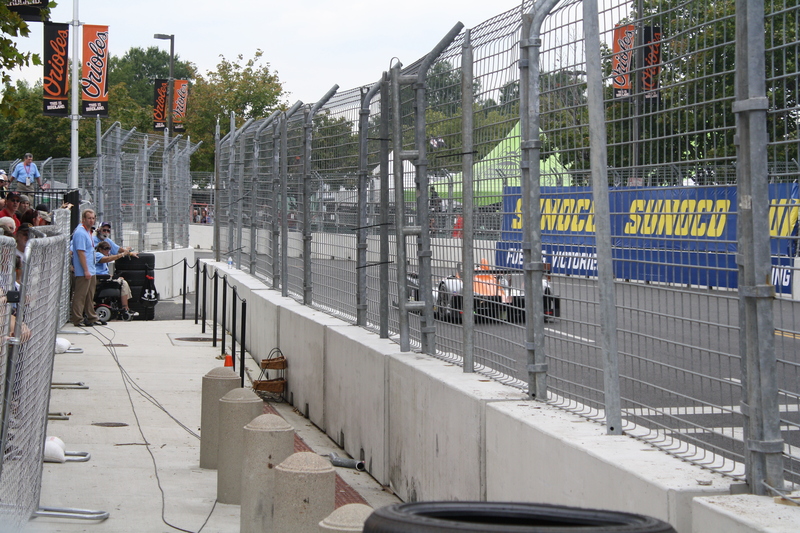 From there I saw some of the Le Mans racing which was louder that the Indy races. For a first race experience and that it was only practice it was all in all a neat experience. I would have liked to have been able to take some photos from the walkways, but we were quickly removed through those areas when we tried. After the race, Bee and I hit the road and went down to the Outer Banks. There was debris and some minor damage, but it was alot less than expected! 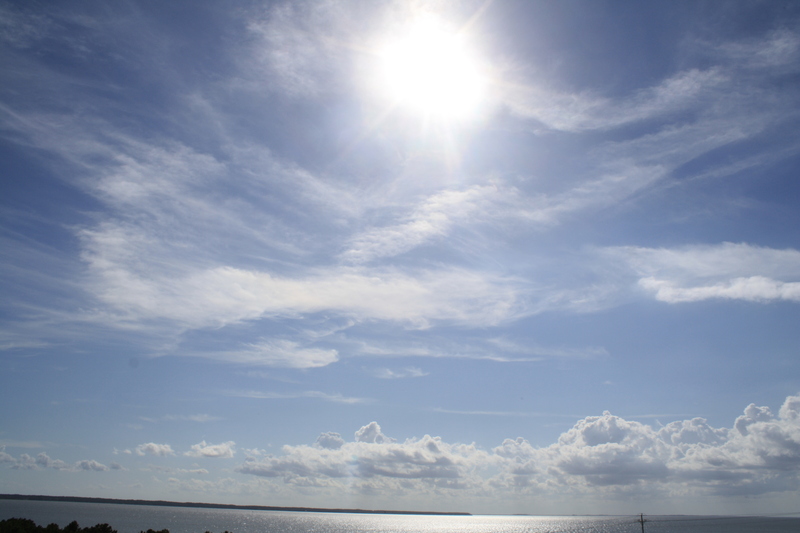 We enjoyed the rest of the Labor Day weekend with the sun, surf, and sand. 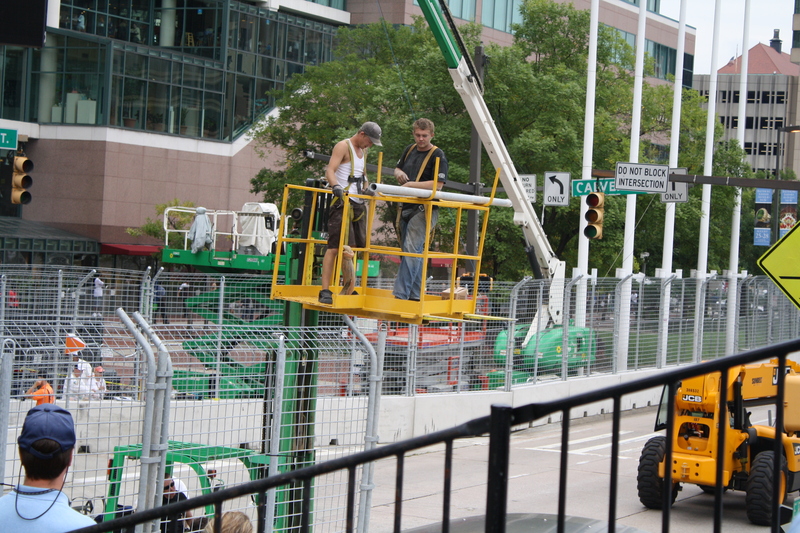 I posted a bunch of photos of my trip to the Grand Prix on my flickr page for you to check out. 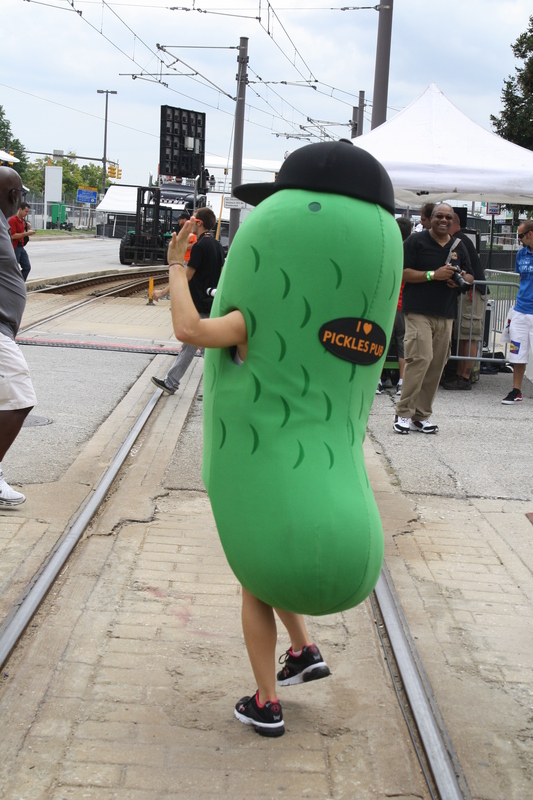 I tried to capture the essence of Baltimore in among this neat, inaugural event! And I even got to meet @juliemore to boot! 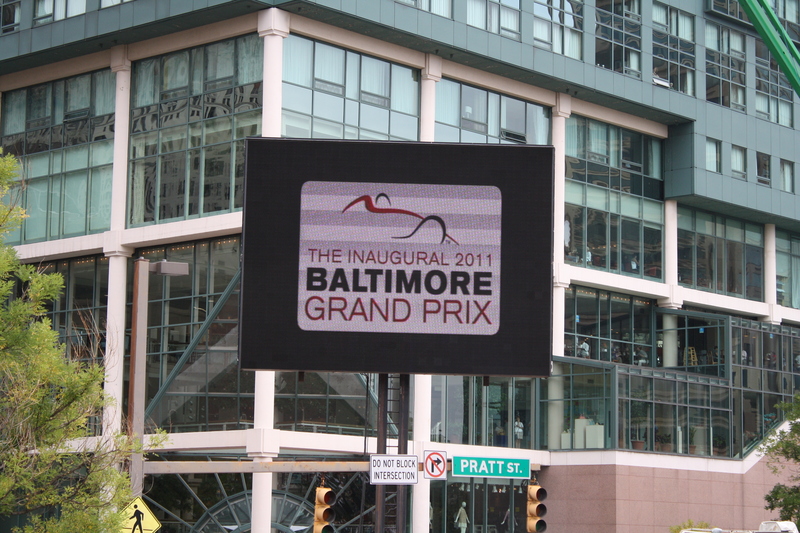 ps… remember when you say “grand prix,” you have to emphasis the “gra” portion of grand prix. it sounds more european that way. haha. 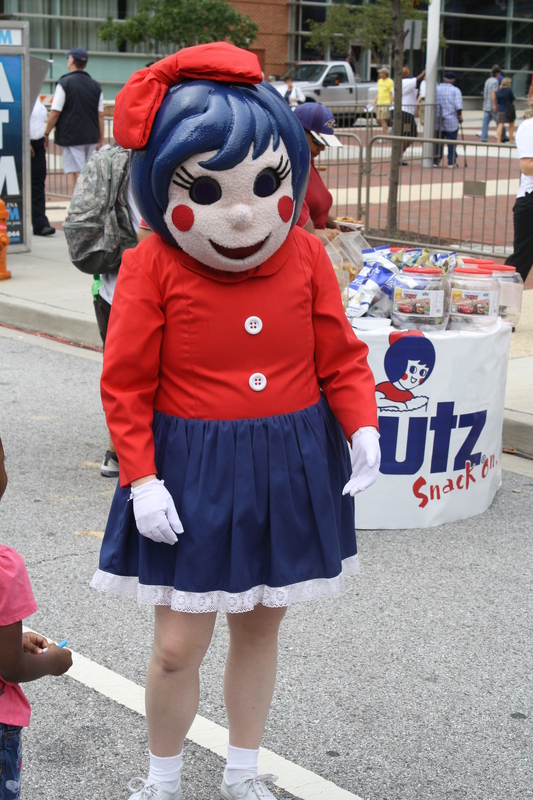 one last thing, i saw the UTZ girl and the pickle’s pub custom, LOL.